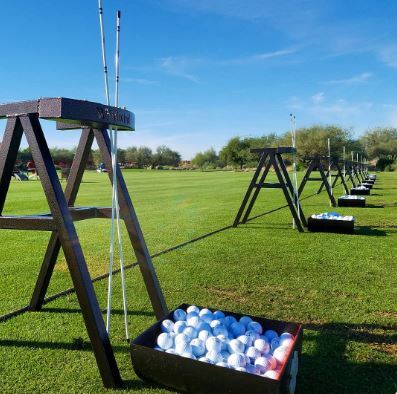 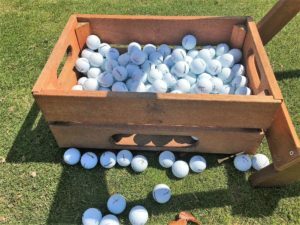 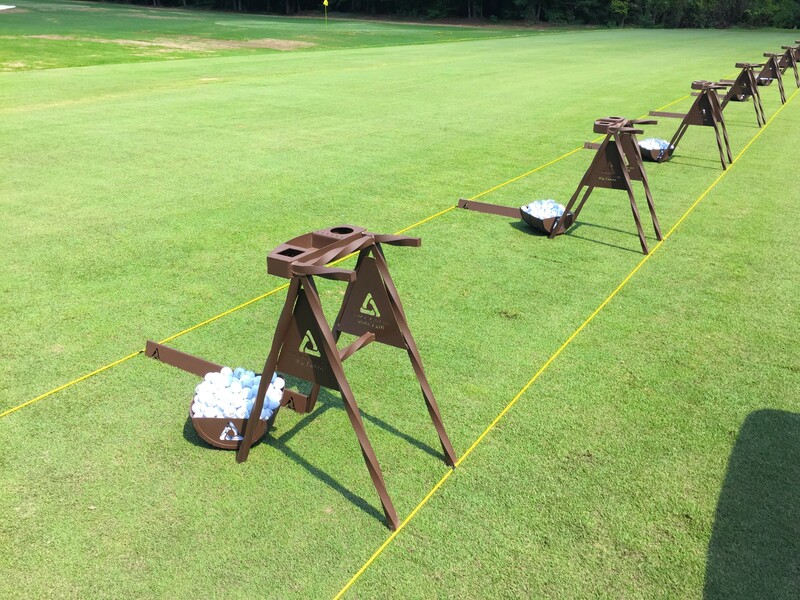 What do your players need on-hand while on the range? 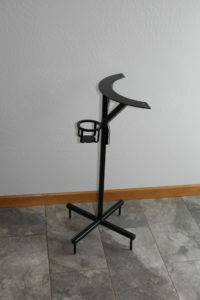 We began a decade ago with a basic no-tray bag stand, and then it evolved. 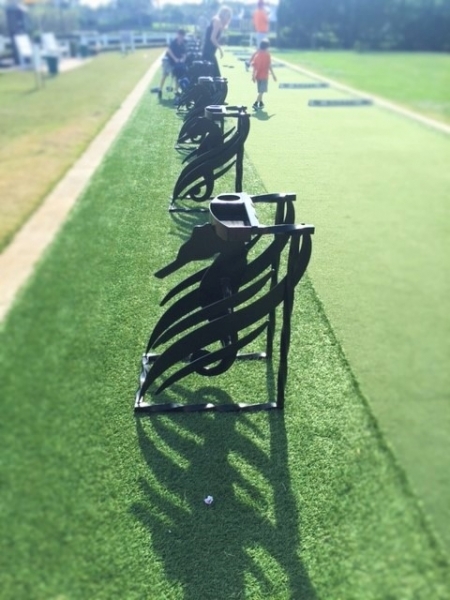 Our clients (you) have developed our stands into a unit that meets the players’ changing needs. 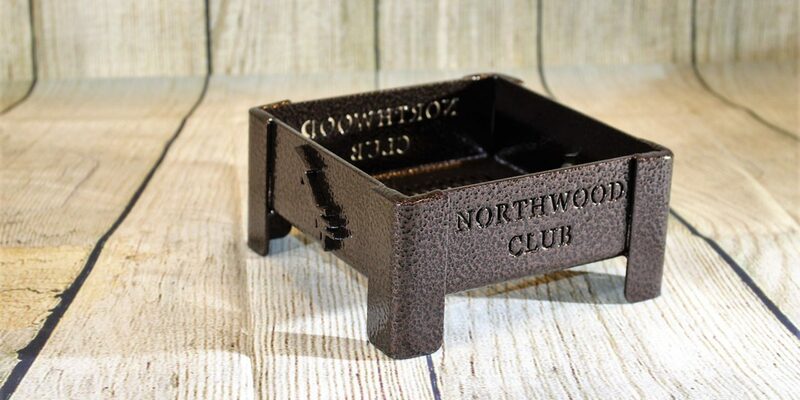 If you browse our website, you’ll see that a lot of the trays are a little bit different. Some have 2 cup holders, others have 1 cup holder and 1 spot for a range finer, or holes for alignment rods, etc. 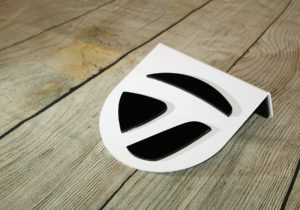 It’s limitless, really. 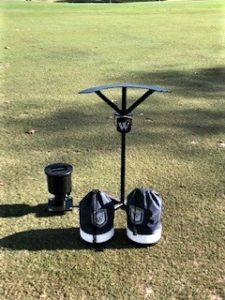 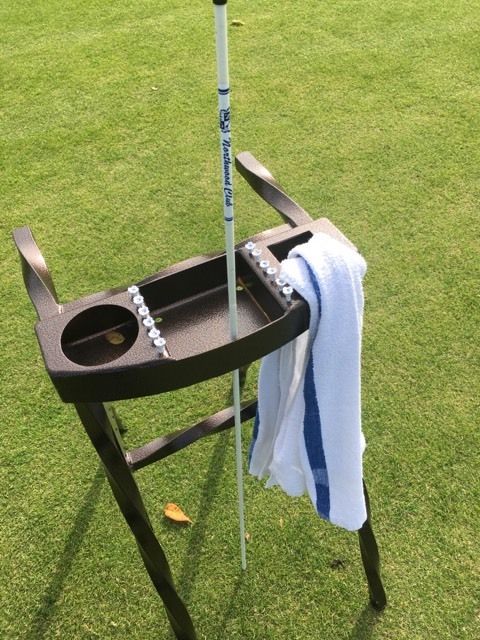 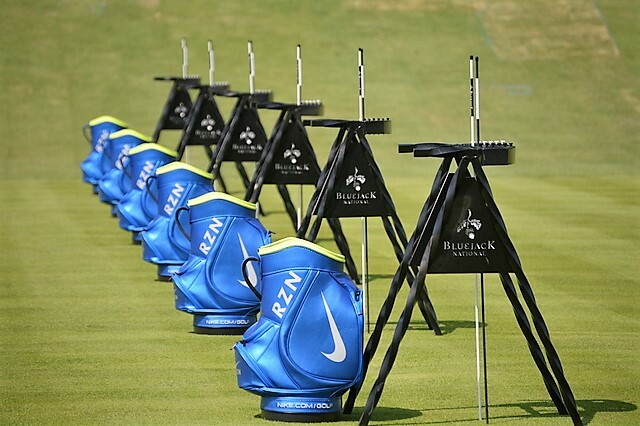 Just let us know what works for your players and we’ll create a custom-made bag stand. 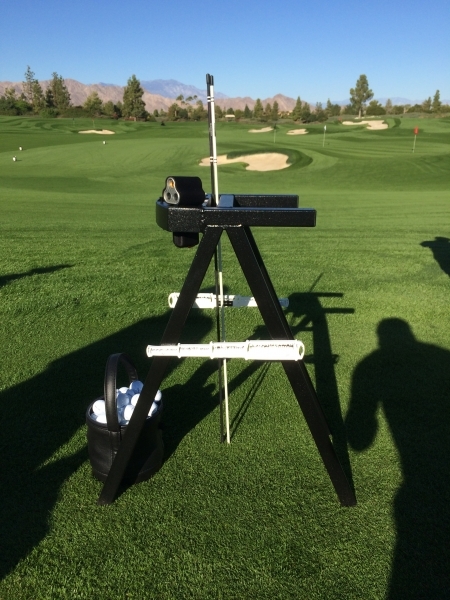 Last week we worked with Rolling Hills CC in Hills Estates, California. 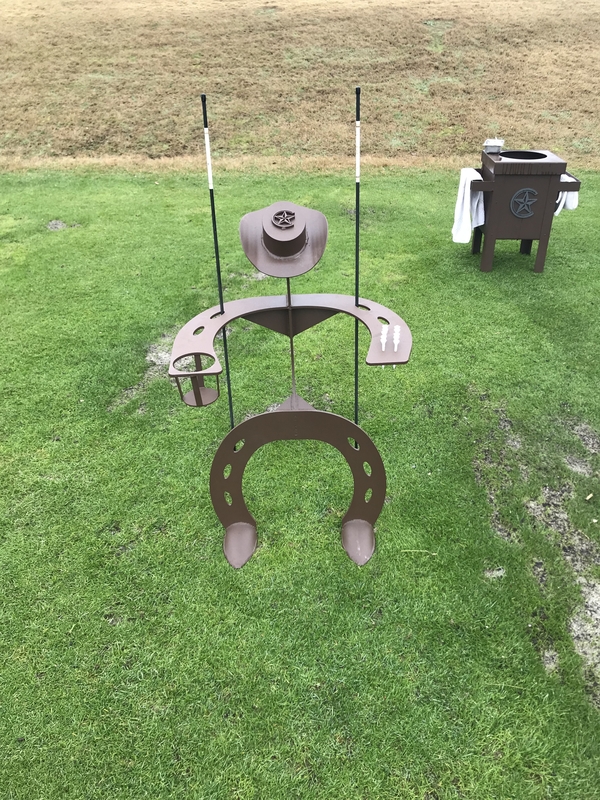 Their super sent us their range finder so that we could custom fit it in their stands during production. 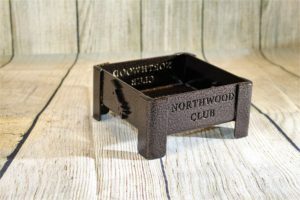 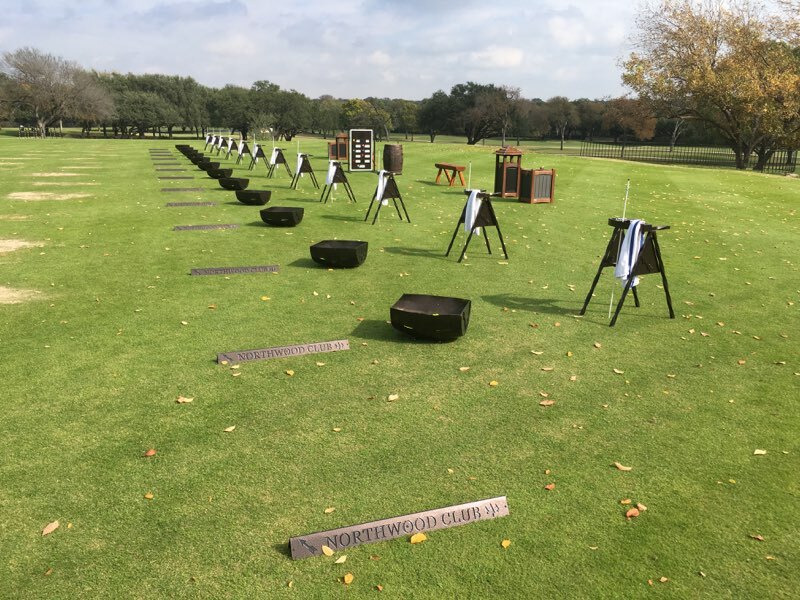 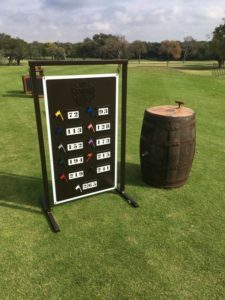 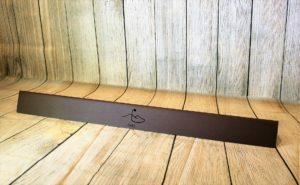 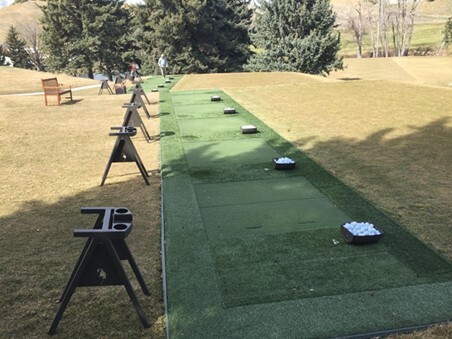 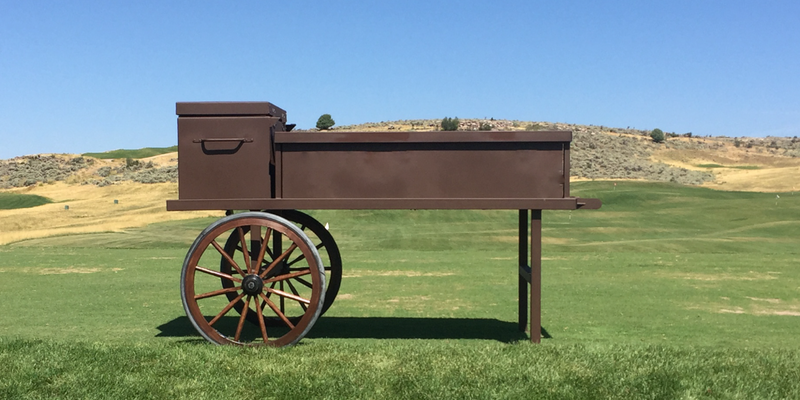 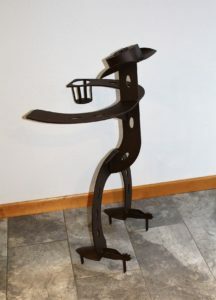 We designed the stand so that the range finder could be attached to it, which avoids the issue of any ‘walking away’..
Here’s the custom tray that we built awhile back for The Madison Club (Discovery course). 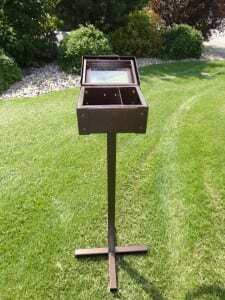 They had us drill holes for alignment rods behind the compartment for it, while The Cliffs had us create a box solely for their range finder. 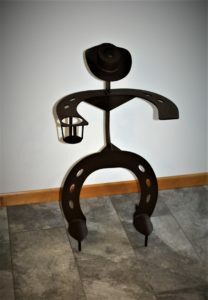 Everyone is so different, which makes life interesting here at RHI. 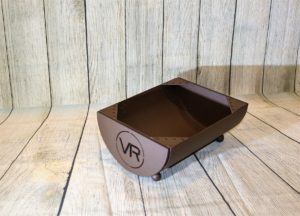 Ending question: What kind of tray works best for your range? 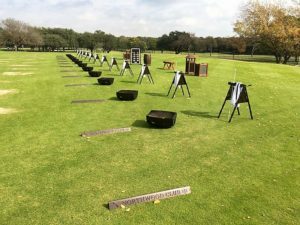 The Amenity Carts all started with the then director of golf at Isleworth a few years ago. 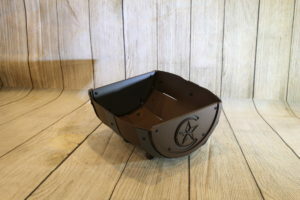 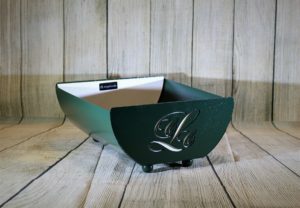 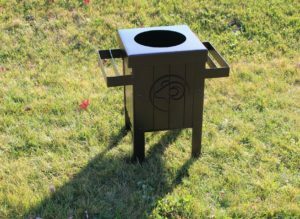 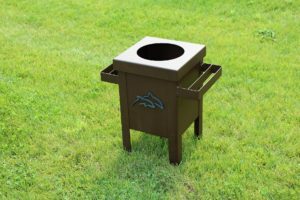 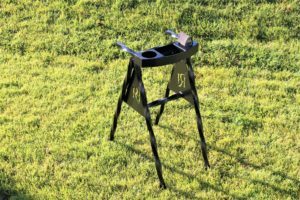 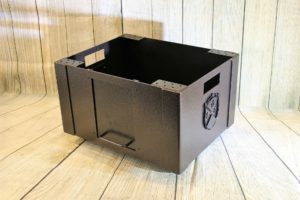 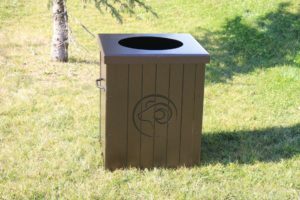 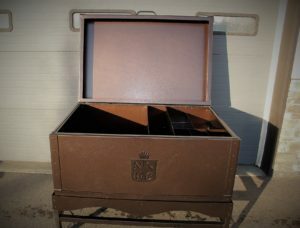 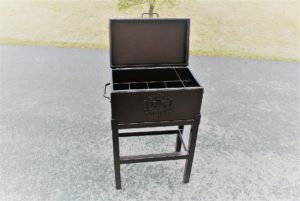 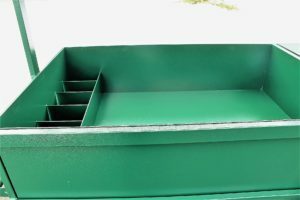 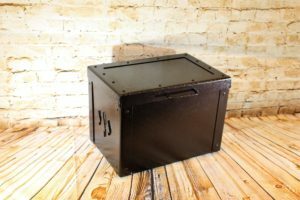 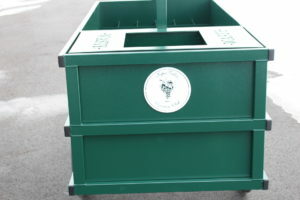 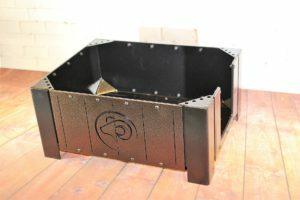 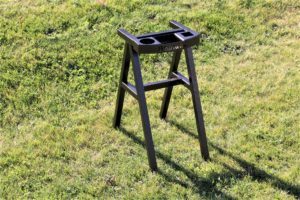 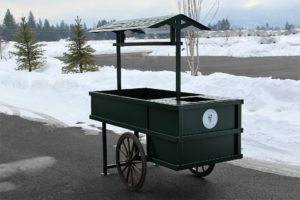 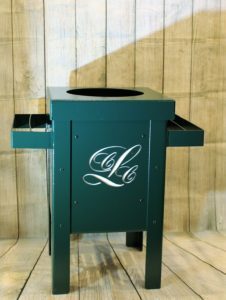 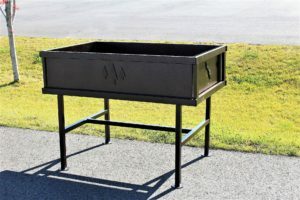 We thought that it was just going to be a one-off piece, but once it posted on our website, everyone else wanted it..
Napa Valley had a new concept, instead of the insulated coolers on the cart like what we usually make, their pro wanted a waste can. 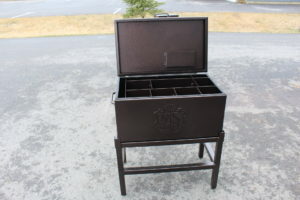 It’s classy and a necessity for the range. 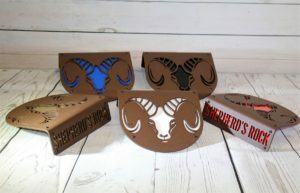 Here’s the dividers for their trinkets. 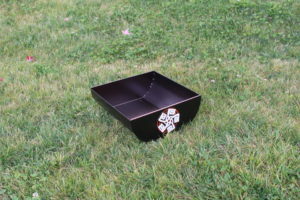 The rest of the bed is empty for storage. 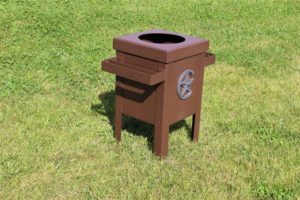 Here’s another example of how RHI products look good for years to come. 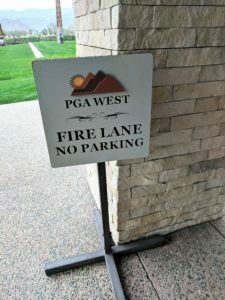 The PGA West sign is 6 years old. 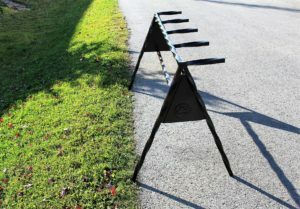 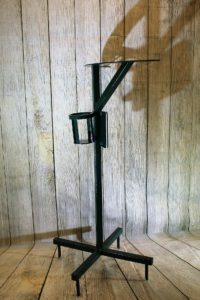 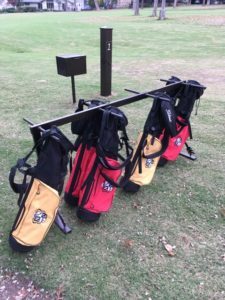 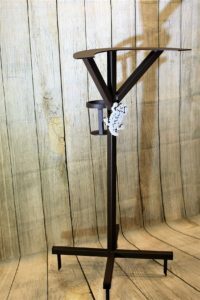 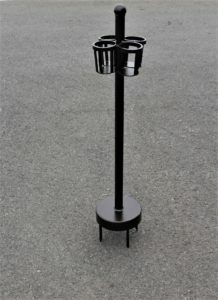 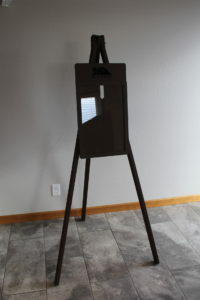 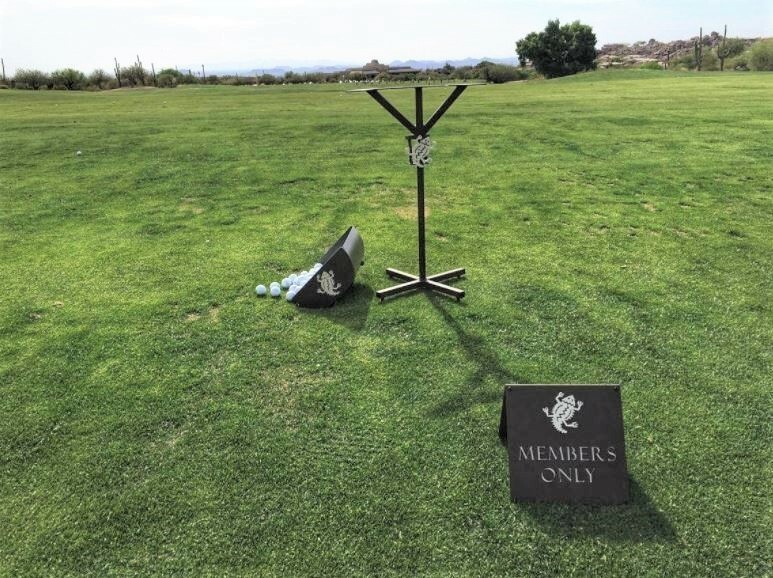 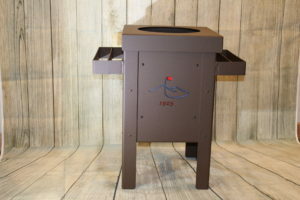 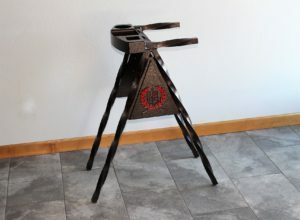 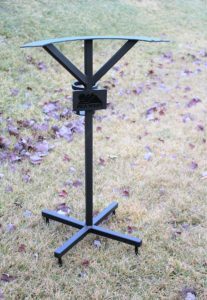 For driving range bag stands, we have the twisted A-frame bag stand for Indian Hills. 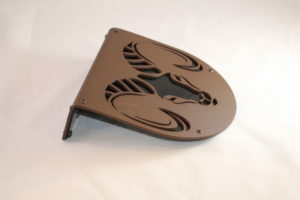 The color that you see is called Copper Vein, which is our thickest and most durable powder coat. 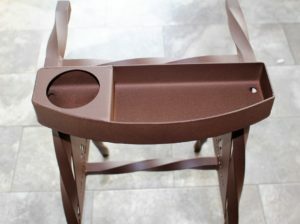 It’s a two coat process that’s a warm brown with black speckles (it’s beautiful). 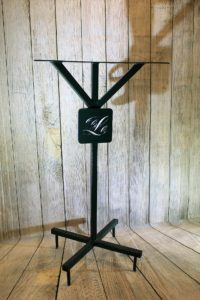 It was nice doing a full colored logo for The Powder Horn’s starter’s podium. 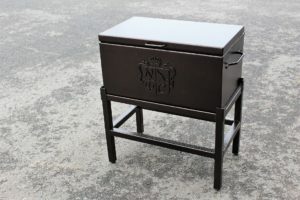 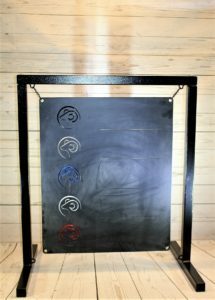 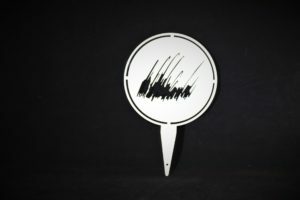 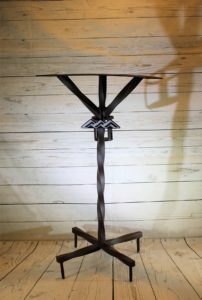 We were really able to showcase their logo on this piece. 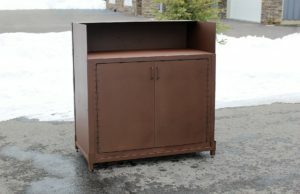 We made the full order for Nemacolin Resorts the other day. 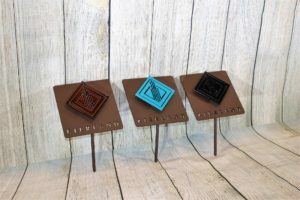 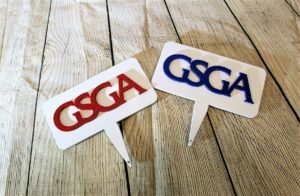 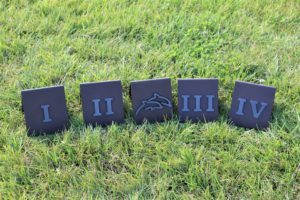 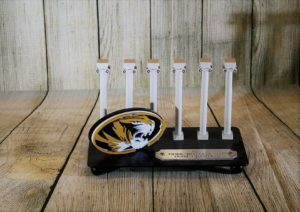 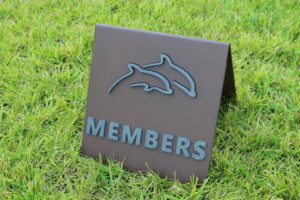 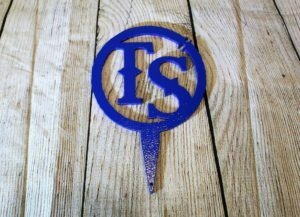 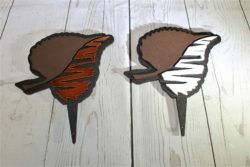 These tee markers are an example of a cutout logo with a colored plate underneath the logo. 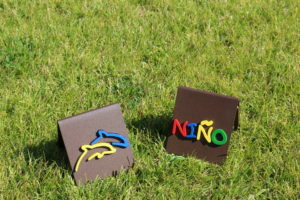 Through the years, they’re going to love how durable these are. 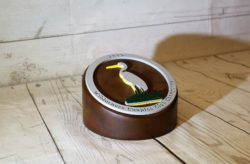 Here’s the Dunesgrass tee marker. 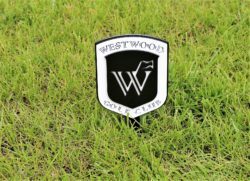 This style is our ‘upright tee marker’ and it’s one of the easiest styles to touch up. 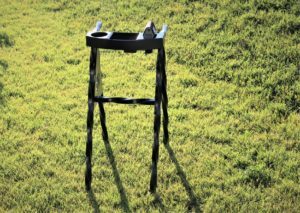 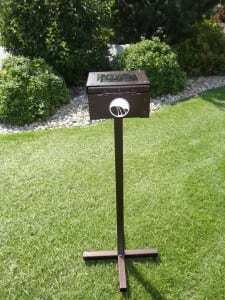 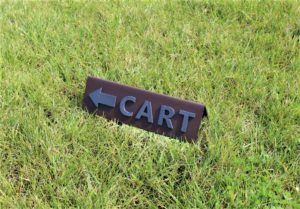 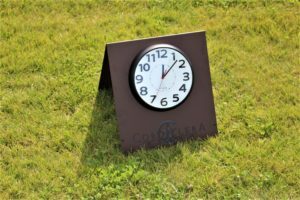 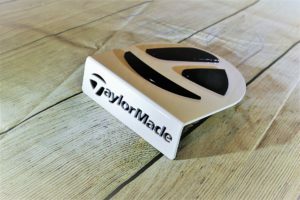 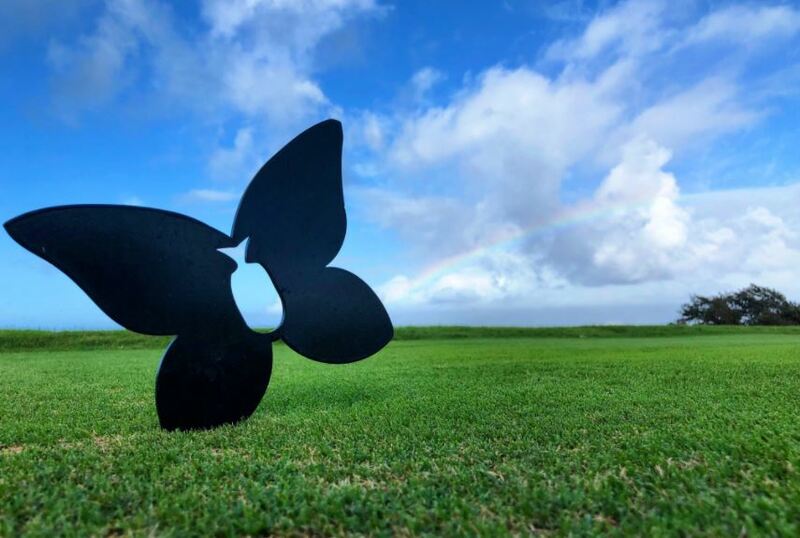 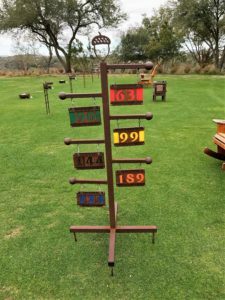 It’s also one of the most ordered tee markers. 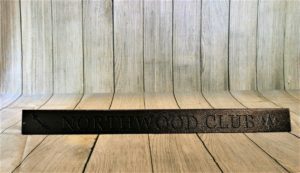 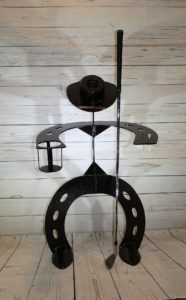 The tee marker for Golf Club of Tennesse is on it’s way to them. 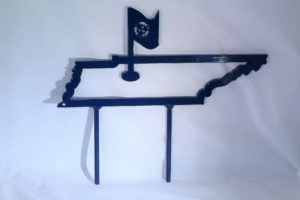 We bumped up the thickness on these, so there’s no bending of that flag. 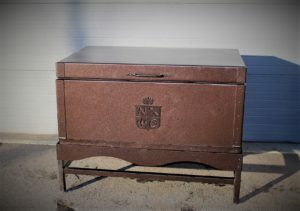 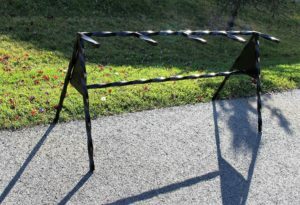 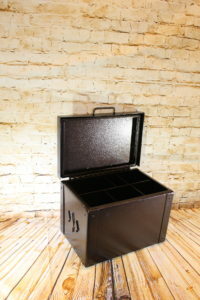 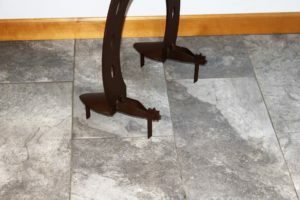 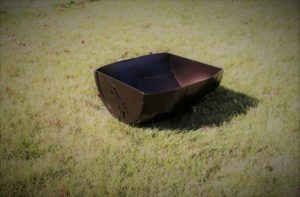 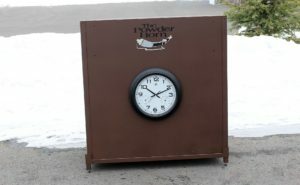 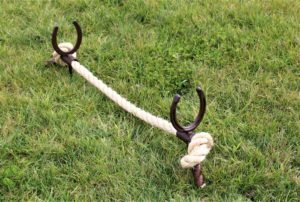 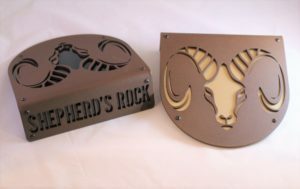 Again durability is our #1 concern in all of our custom products. 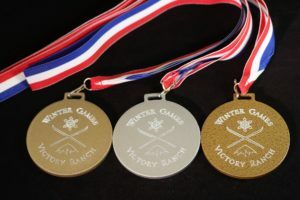 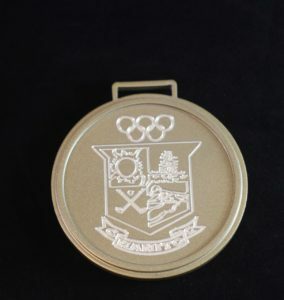 For tournament awards, did you know that we engrave custom medals? 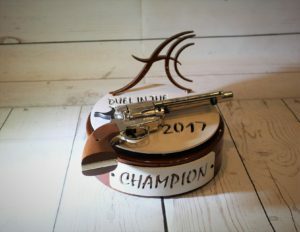 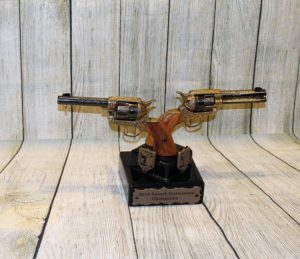 These trophies went out the door last week. 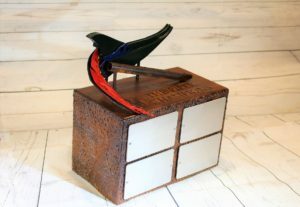 Here’s the perpetual for Jonathan’s Island and one of the Duel in the Desert awards for Anthem.